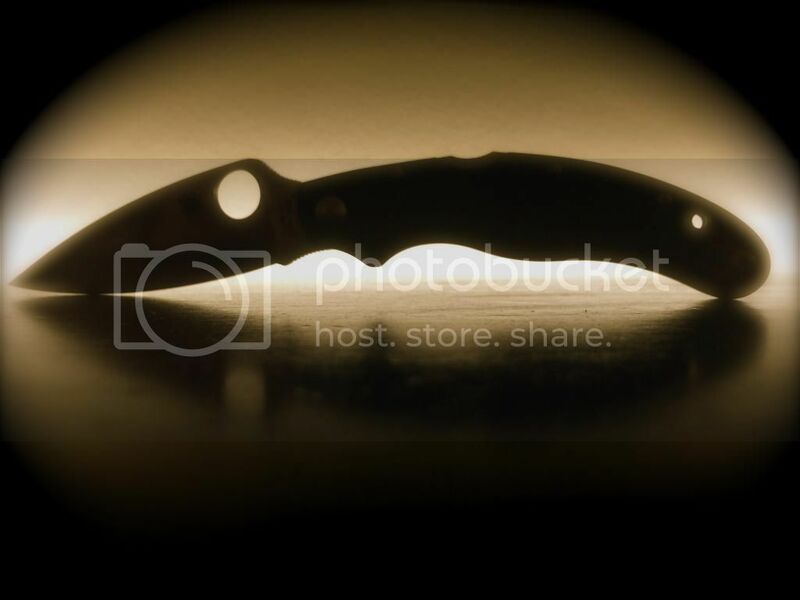 Every week I see some really great pics on this forum so I thought we could have a weekly competition. The competition will last from Monday to Sunday and the winner and runner up will be announced on Sunday evening. The winner will be the judge for the forthcoming week however if he/she is not able to be a judge then it will fall to the runner up. All members are eligible except the judge and even if you don't have your own pic you can nominate someone else's if it hasn't been nominated already. 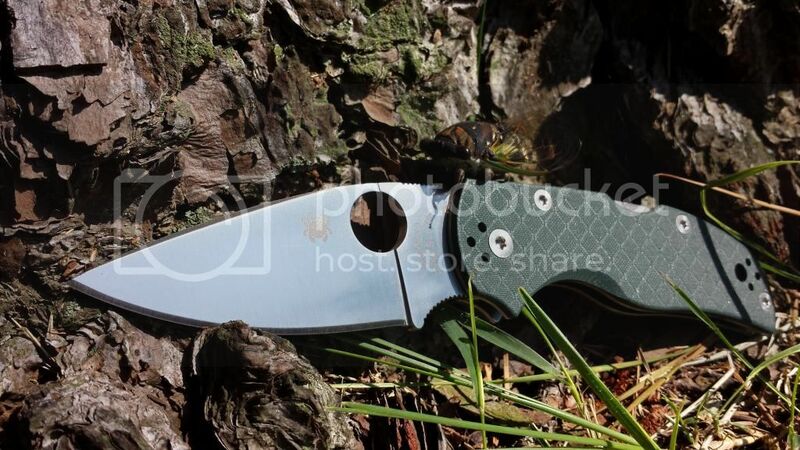 Remember all the pics must have at least 1 Spyderco product. If no one has any objections I will judge the first week in order to get the competition started. Pls post your pics in this thread. Last edited by Johnnie1801 on Mon Sep 14, 2015 8:38 am, edited 2 times in total. Good idea. I will have to choose a pic. Last edited by GoldenSpydie on Thu Nov 20, 2014 7:31 am, edited 2 times in total. This one's in the "No Words" thread already, but I'll submit it here as well. Gibbs rule #9. 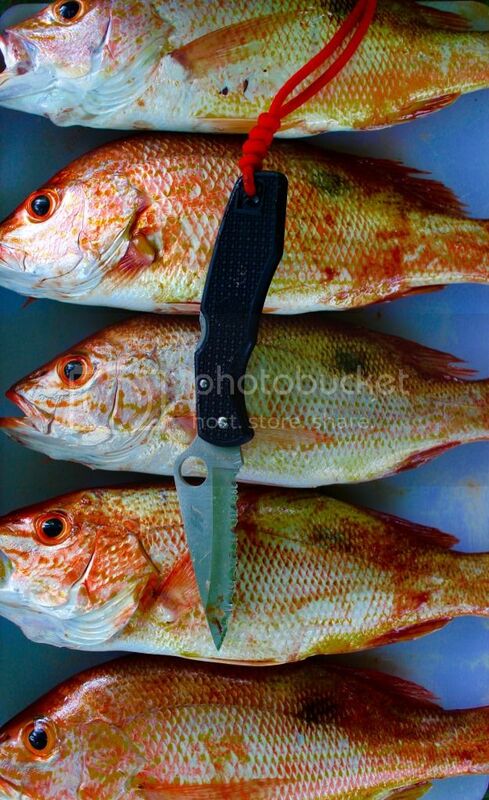 Never go anywhere without a knife. Awesome idea! Here my submission. 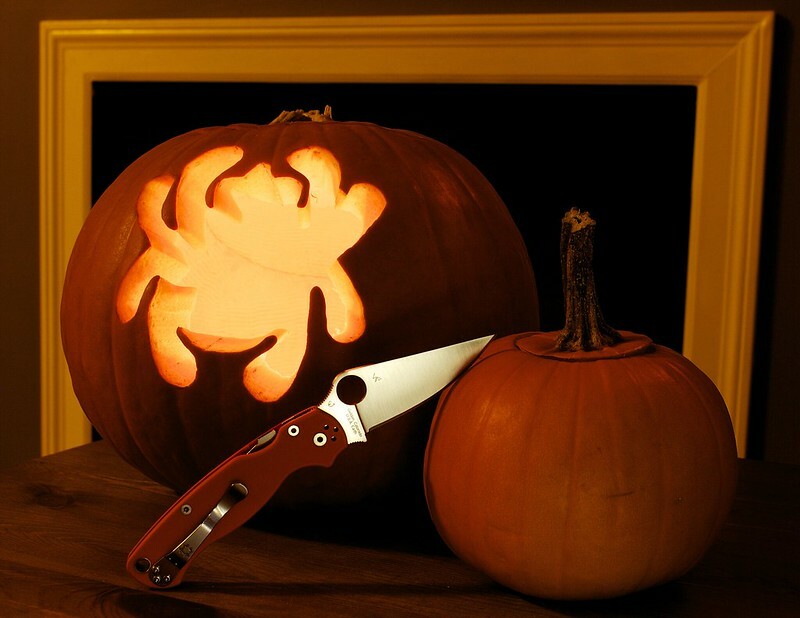 It's no longer Halloween but an orange PM2 never goes out of style. Not a great photo but maybe I can make you hungry at least. I don't know what is gonna be harder, winning this contest or judging it. 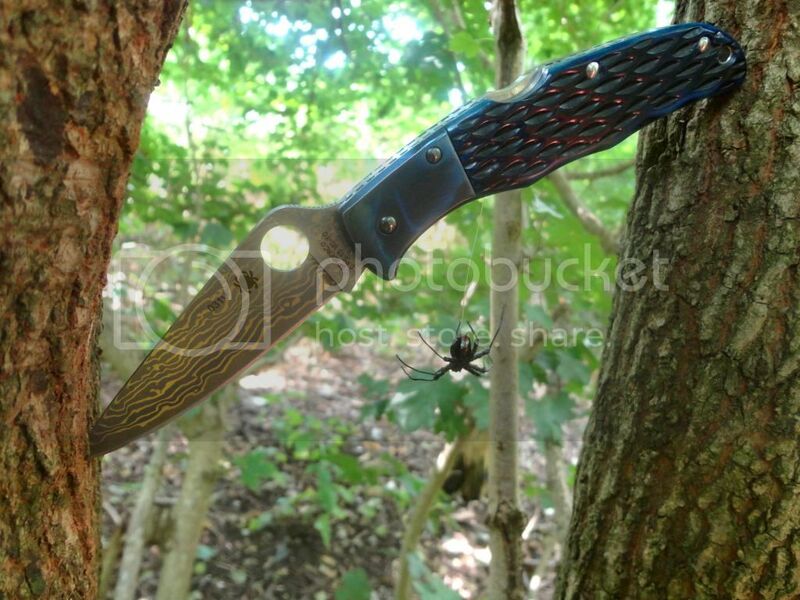 There are some great photographers with some great knives on here. I'll dig a submission out soon. 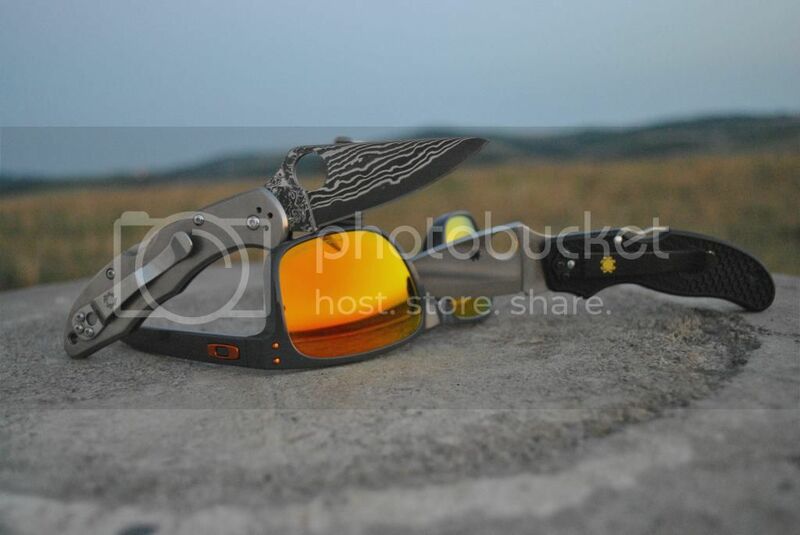 @Branden, what model Oakleys are those? They're my 6th pair of Oakleys. The model is called Holbrook. I originally wanted them in the grey frame but with green reflective lenses and symbols but they were only out in the non-polarised version of the lenses, and once you try the polarised version of the lenses you can't ever go back...they're that much better. The polarised version of the reflective green lens should be out here by now so I'll probably grab some, but in a different model. I'd say these and my Jupiter Squared are my two favourites. Location: Australia. Up a Gum tree. Has it got to new photos or can it be old ones too. I like to get this one now and again; because I really miss this little rat. 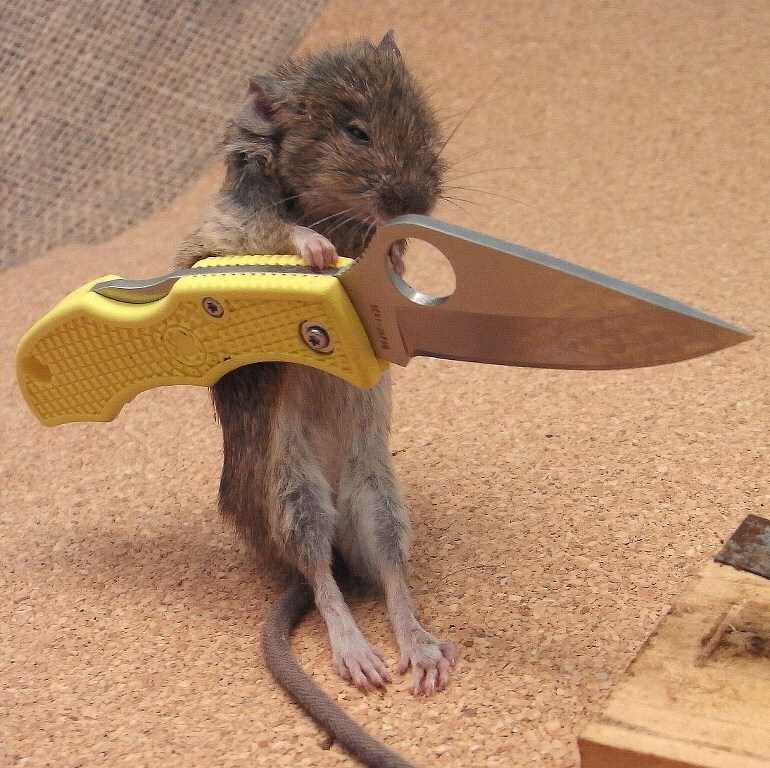 He was good fun to train, though teaching him to use a knife was a big mistake. Especially then he started to harass the cat. Things started to really get out of hand then. 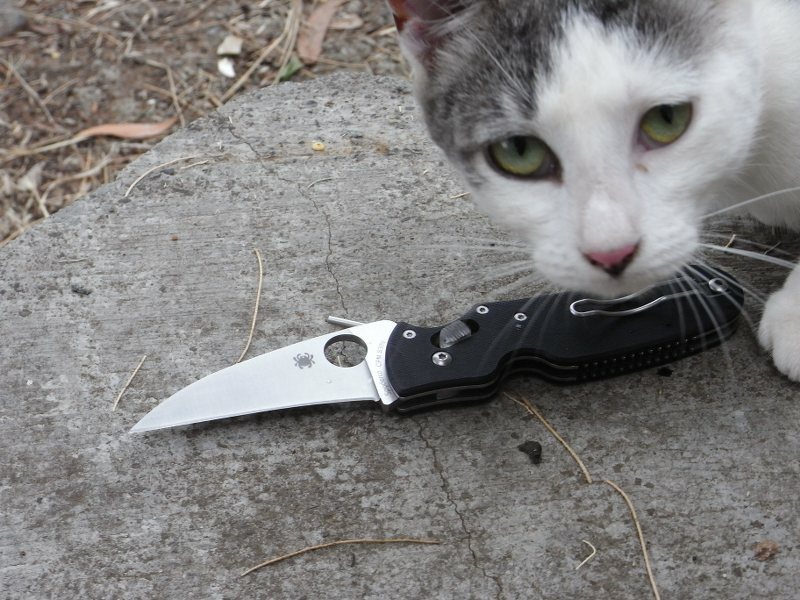 I tried to train the cat to use a knife; but he seemed to become quite offended and refused to have any thing to do with it. 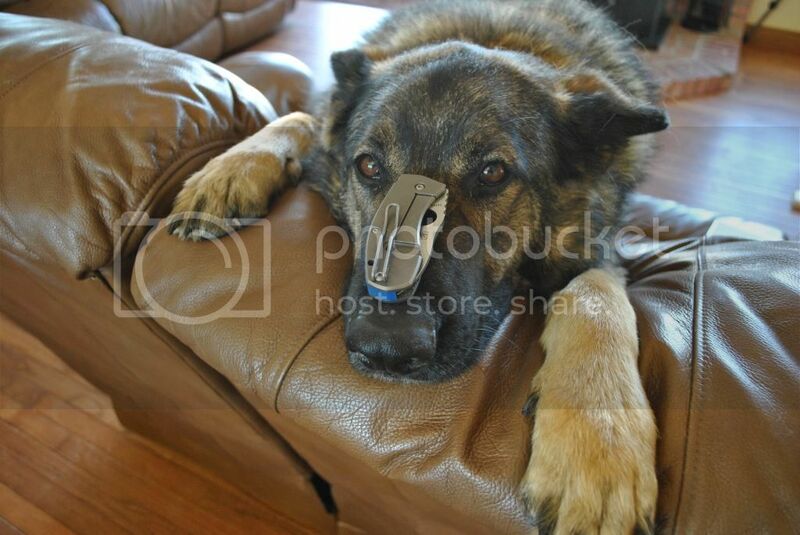 You'll find that dogs are much more receptive...one more reason why they're better than cats IMO. I can easily make my dog sit like this with any of my knives for minutes on end while I hide treats for her in the next room. Not my best, but the lighting and my schedule don't always coincide this time of year. Burn it down!